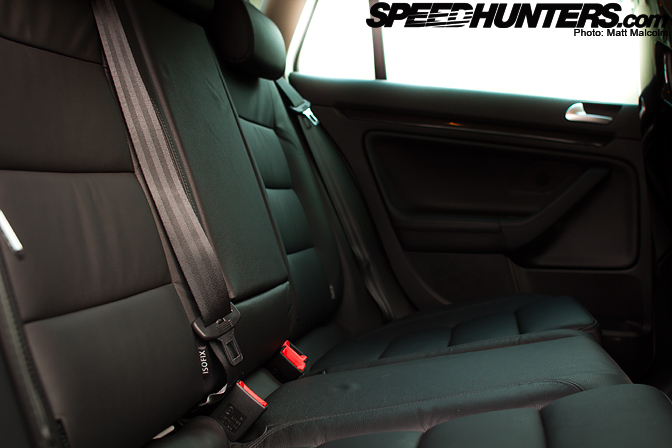 Thus far we've shown you AP's carbon-bodied turbo Lotus along with his 650hp Golf sleeper. Judging by those two rather extreme street cars, it's not surprising that his family runaround has an equally twisted personality. Gone is its 1.4 litre motor and front-wheel drive transmission; in its place is a turbo six-cylinder and AWD. AP's Golf wagon started life as a front-wheel drive 1.4L TSI, the type of car that's perfect for ferrying the family around. All of the original badging creates a nice subterfuge to hide its true intentions. To keep things on the subtle side, AP opted for the Votex body-kit which enhances – rather than dominates – the factory lines. 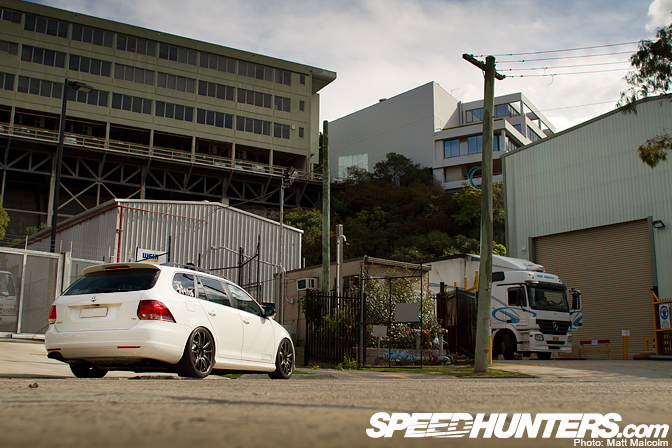 Like AP's Lotus and 3.6 litre R32, this wagon was built by City Performance Centre. The light bulb moment to convert the wagon came after the HPA FT640 motor was installed into the R32. Before long, AP's wagon was up on the hoist to have the left-over R32 motor fitted. 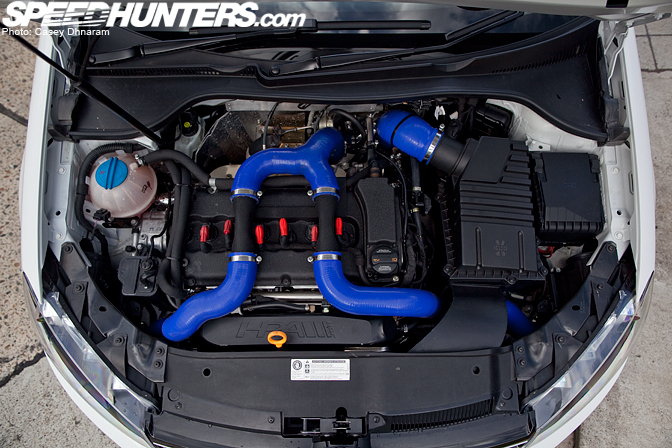 While they were at it, they added an HPA FT495 turbo kit, twin HPA intercoolers and a carbon clutch setup. After encountering a variety of headaches – particularly in regards to wiring – the CPC team were also able to fit the R32's all-wheel drive system. KW Clubsport coilovers, a pair of H&R swaybars and a Whiteline polyurethane overhaul of all the bushes have improved this wagon's handling capabilities. 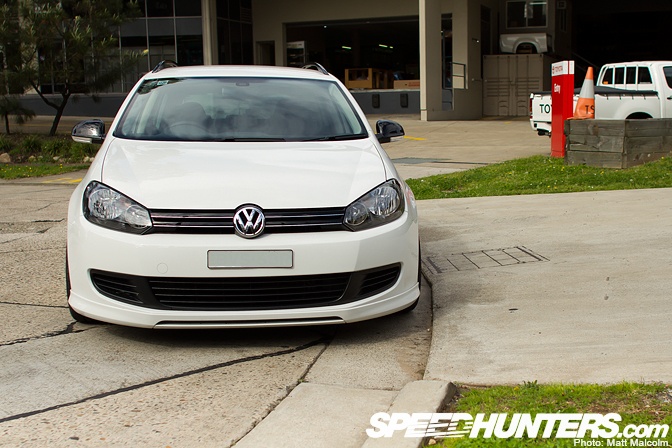 The Golf wagon rolls on a beautiful set of 19-inch Wedsport wheels that are wrapped in 235/35 Advans. 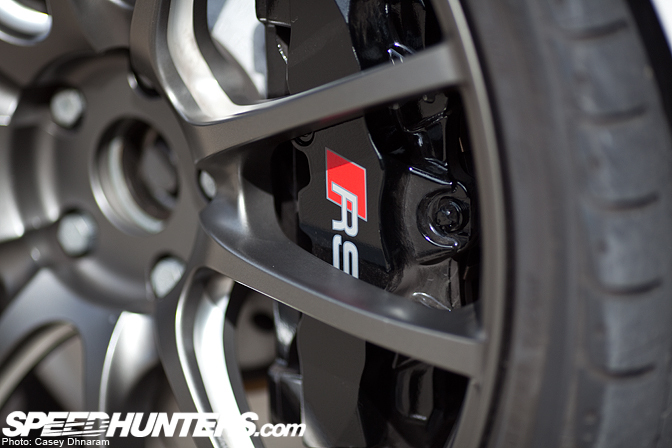 Large diameter wheels were necessary to clear the monster 8-piston Audi brakes. 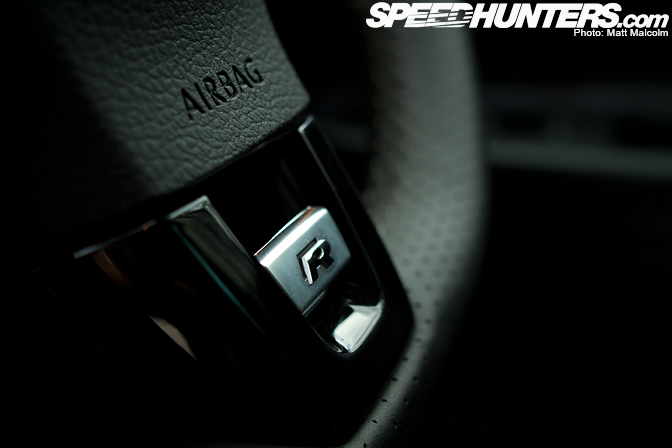 Inside you'll find the flawless interior has been enhanced with a steering wheel and instrument cluster from a Golf R.
Gone are the factory seats. In their place are the R32 Recaros. There is still plenty of room in the back! What AP has created is a car with the convenience of a wagon but the performance and handling of a sports car. One thing that gives the game away is the distinct VR6 burble that emanates from the CPC stainless exhaust. The understated swagger of this sleeper was intoxicating and seeing it casually cruising Sydney streets made me quite envious of AP. While this Golf wagon may be the most restrained of his three cars, by most people's standards it's still an incredible conversion: turbocharged R32 motor, AWD, 8-piston brakes, the list goes on. Who knew trips to soccer practice could be so damned fun? Kudos to you good sir...Kudos!!! I've always wanted to do a 4WD conversion to FWD wagons/hatchbacks ... some cars are just in desperate need of it! Kudos to you good sir! Kudos! AP you are my hero, just a shame you live in the wrong country! Nice car but for the money that was put into this thing id rather have an S4 Avant with a V8. 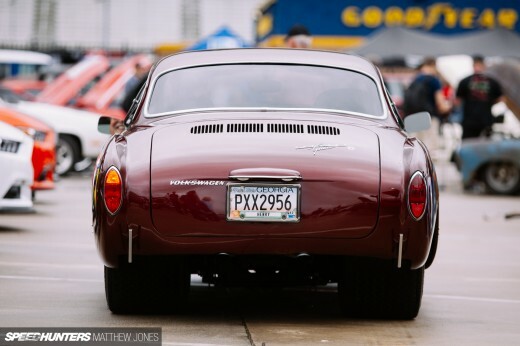 This is has got to be what I think is a perfect daily driver. 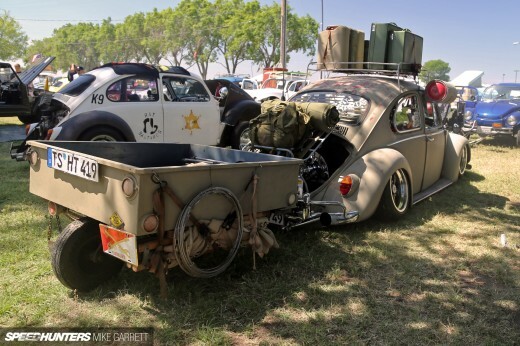 Of course, I wouldn't need the turbo's and I would use a normal sized set of wheels. But still, I'd love to have an AWD, V6 VW wagon. This makes me forget that my dream car is an M3 touring. Some email this link to the product planners at VW. CAN I HAVE IT PLEASE! MY HERO! amazing piece of work,,, i'm from canada and can't seem to find people who like wagons... I own a 2000 Subaru Legacy GT WAGON! The epitome of a proper wagon! Very tasteful selection of modifications, plenty of performance, but without an unnecessary overstatement....vision accomplished...I love it! Three amazing cars....that man is living a dream. You guys really need to start posting high res pictures with the articles, this is too beautiful not to be a desktop!